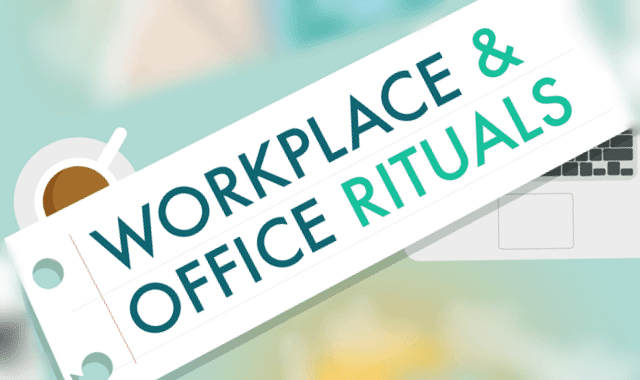 Workplace and Office Rituals from Around the World #Infographic ~ Visualistan '+g+"
The “working day” varies dramatically around the world. Whilst the nine-to-five might be the norm for you, the average working day in Japan couldn’t be more different if it tried. In the UK, we take a lunch “hour” which ranges from between thirty minutes and an hour, but the French often enjoy a leisurely two-hour lunch break and it’s considered rude to refuse a glass of wine! Let’s take a trip around the world to see how the working day, including office rituals, culture, and etiquette, vary from country to country.